08:30 a.m. Gathering all together in Flisvos coast and embarkation on our yacht. Welcome coffee or juice for all our sailors and follows our first meet with our captain and his assistant who will accompany and guide us throughout our journey. 10:30 Estimated arrival at Prasonisi Island. Short stop for swimming and sunbathing. 13:00 Estimated arrival at Sounion. Walk around, visit of the Poseidon’s Temple & lunch. Aproximately at 15:00 our departure. 09:00 a.m. Departure and timidly open up to the perfect blue waters of the Saronic Gulf overlooking the magnificent coastline of Attica so called as the ‘Athenian Riviera’. 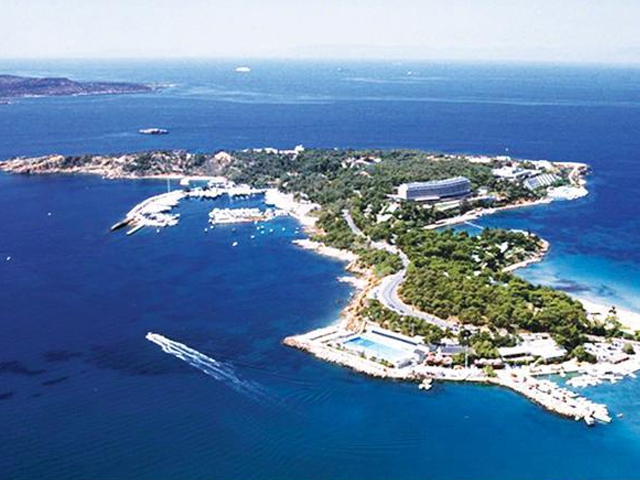 By order then we sail off the coast of Glyfada, Voula, Vouliagmeni with its lovely small peninsula and its small..small and often exotic islets. 10:30 a.m. On one of these islands we shall make our first stop. 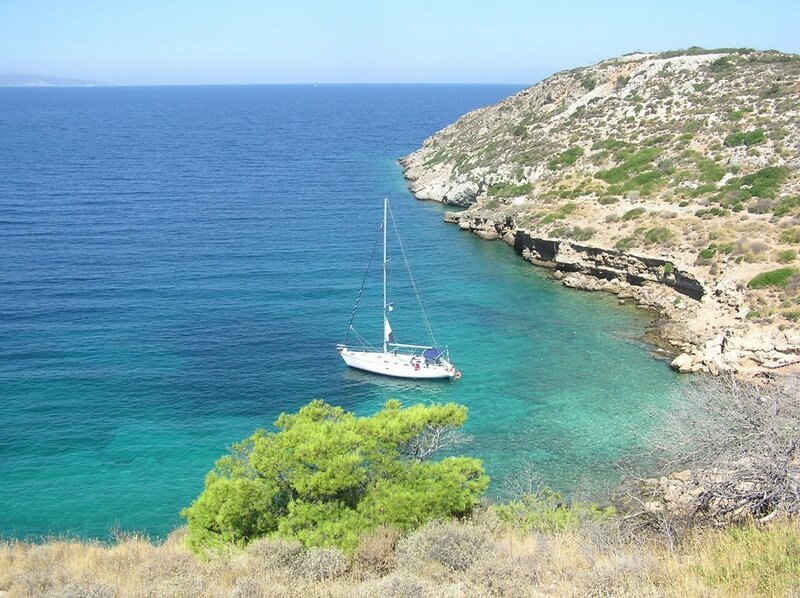 The ‘Prasonisi’, a small island full of trees and turquoise waters. The yacht stops off and we shall have about an hour for swimming, sunbathing and maybe a cold coffee and/or a refreshing drink. 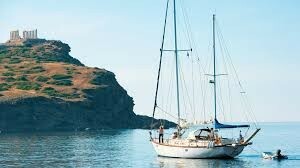 11:30 p.m aproximately we continue our sail off the Attic coast (Attiki also means the Earth with the many coasts) and after about 1 hour we will reach our final dreamy destination, the picturesque Sounion with the magnificent view of the Aegean sea right next to the Temple of Poseidon which stands proudly for nearly 2500 years to confirm the greatness of the ancient Greek civilization & culture. Disembarkation and within a short walkway we will find ourselves right into the archaeological site. Spare time for some self research and photoshooting. Afterwards we shall take our meals either on the boat or at a local restaurant, always with local dishes, accompanied by plenty of Greek wine and other spirits (Ouzo, Tsipouro – Raki). Our stay there lasts about 2 to 2 1/2 hours. 03:00 p.m. Early in the afternoon filled out literally from our meal and figuratively from images we depart for our return back to Athens. 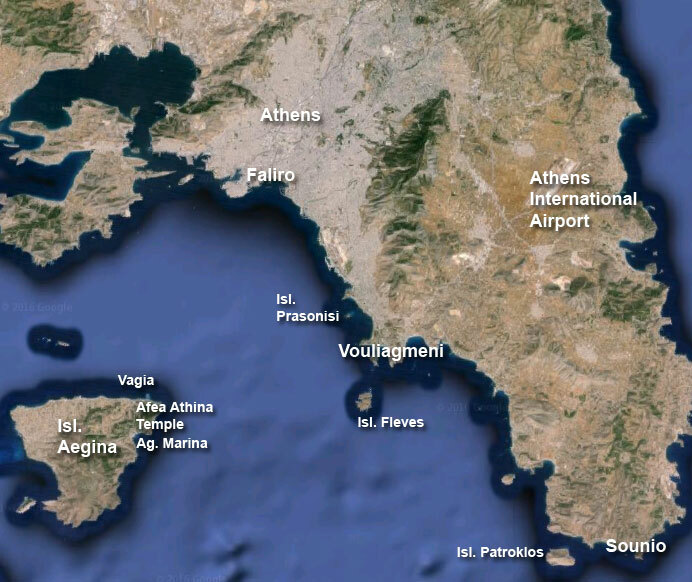 However our unique experience does not end here… We sail a little further off the coast, and as our last stop will be a small group of islands called the ‘FLEVES'(greek for veins). Short stop for an afternoon coffee or refreshing beverage. Those who feel comfortable may once again try its magnificent blue waters and for those who are a bit more adventurous a mask & snorkeling equipment shall offer them a full experience of the secrets hidden in the seabed. Departure and relaxing sail for our return to Floisvos. Disembarkation and our acquaintance with the secret coasts of Athens and Attica has ended, enriching us with a multitude of images, flavors and unique moments. The OneDaySail team wish us farewell and look forward to welcome us again in another «Cruise» experience! 1. 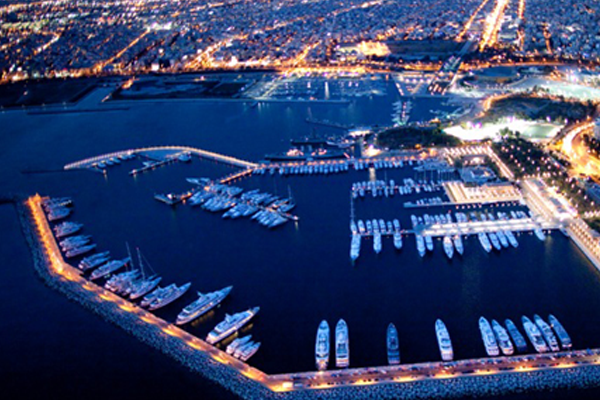 OneDaySail does not provide any pick up / drop off transfers from any point or hotel to the Marina and in reverse. there, and we depart for a short visit to the ancient Temple of Athena Afea, built in 480 BC after the battle of Salamis. The temple is located at the north of the island, among pine trees overlooking to the beautiful blue waters. Τhe 24 out of 34 total pillars of the temple, are still maintained under a very good condition. Afterwards we enjoy some free time for a swim in the first Awarded beach of the Saronic Gulf with the worldwide recognition of the Blue Flag Awards for its clean waters. Later, we shall take our meals either on the boat or at a local restaurant, always with local dishes, accompanied by plenty of Greek wine and other spirits (Ouzo, Tsipouro – Raki). Our stay there lasts about 2 to 2 1/2 hours. The OneDaySail team wish us farewell and look forward to welcome us again in another «Cruise» experience! 13:00 Estimated arrival in Ag. Marina at the Island of Aegina. Walk around in the village and lunch. Aproximately at 15:00 our departure. RELAXATION / Luxury on a sailing yacht. Enjoy a sailing trip, relax in the summer breeze, taste Greek wine and Ouzo with local Greek cuisine! EXPLORATION / Unique Adventure. 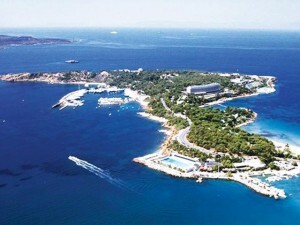 Explore historical spots of Greece, amuse a combination journey with watersports & local activities! EDUCATION / A sense of sailor. Feel alive on a sailing yacht, learn navigation tips, act like a skipper!